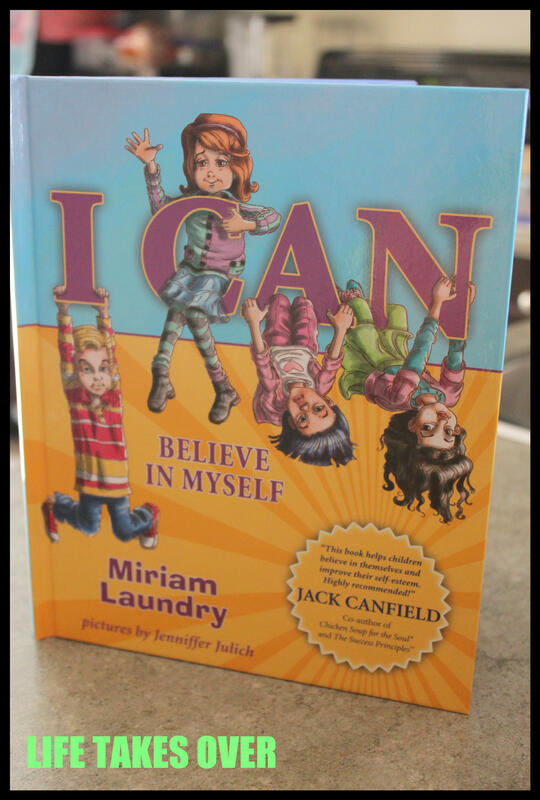 Not too long ago, I received the book I Can…Believe in Myself by Miriam Laundry. 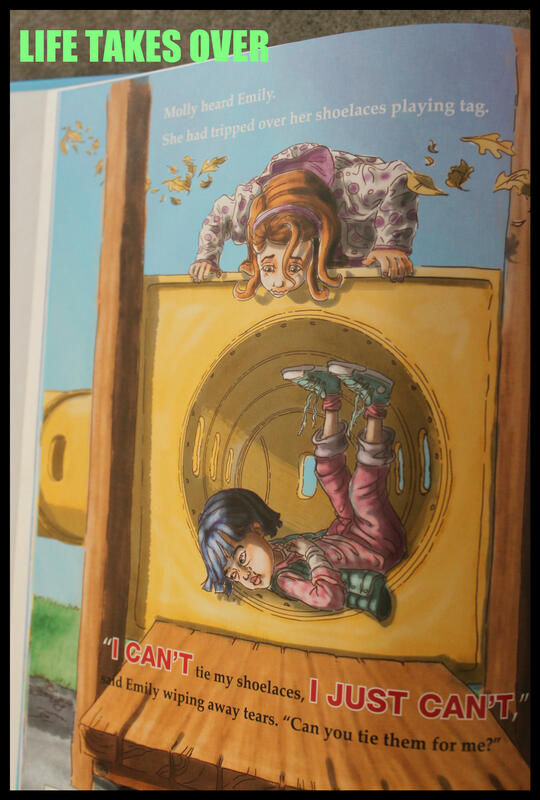 This book is part of the “I Can” Book Series written by Miriam Laundry to empower children to believe in themselves. From time to time I receive children’s books on review, and when I get them, my children and I anxiously open the box and take the book out for a once over. We flip through the book’s pages, checking out the pictures and seeing how long the story is. If time allows right then and there, we’ll snuggle on the couch and I’ll read the story to them. Then we’ll talk about what they liked and what they didn’t like. All of that happened with this book. My kids were impressed with the story. They really liked the pictures. And they felt sorry for the main character because she had to speak in front of her class on Show-and-Tell day and she was afraid to. The book tells the story of what happens when the girl tells her teacher that she can’t talk so she won’t be able to do Show-and-Tell. She ends up spending the day listening instead. And by doing that, she hears all of her friends telling themselves that they can’t do things even though she knows that they can, they just have to try. I thought it was a great story and a wonderful way to teach kids how to believe in themselves. And even better, my daughter is at that stage where she’s picking words off the page that she recognizes, and this book had enough text on each page to make her feel like she was reading a big girl book, but at the same time, the simple, straightforward language conveyed the story’s message and gave her confidence in her reading ability. A bonus in our case was one of the main character’s classmates has the same name as my daughter. She loved that! The next night and the night after that and the night after that, we read the story. It has become a favourite in our house. It’s interesting, funny, engaging, and it teaches a great lesson from a child’s perspective. Both my kids love this book. They identified with the characters and they understood what the little girl was going through. They especially loved how it all turned out in the end. And now around my house I hear my kids talking about how they CAN do whatever it is they are trying to do. A great lesson from a great book! Disclosure: I received a complimentary copy of I Can…Believe in Myself for this review. I was not compensated in any other way. The opinions expressed above are my own and those of my children who shared in this review experience. This entry was posted in Uncategorized and tagged believe, book reviews, books, courage, Kids, kidslit, reading, reviews, Reviews & plugs on August 9, 2013 by Nancy. SOunds like a good book with a good moral. My daughter loves this book! It is a great confidence builder and it recently helped my daughter reach her goal of riding a two-wheeler! After my 8 year old sister read this book, she decided to let go of one of her “I CAN’TS” She went outside on her brand new 2 wheel bike and practiced and practiced until she finally rode it by herself. We have this book to thank for that!